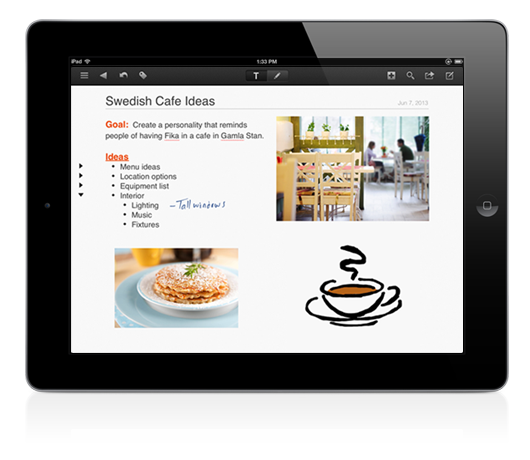 NoteSuite is an all-in-one app available on the iPad and Mac that allows you to take notes, take web clips, organize to-do lists and annotate your documents. The annotation feature is what I find most useful when signing documents and sharing them electronically. You can organize your documents into folders within the app. 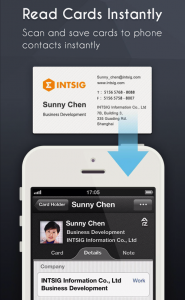 Everything syncs with iCloud or your MacBook so you never have to worry about losing your data. I love using it on my iPad to take notes on the PDFs my professors provide so I don’t have to print them. 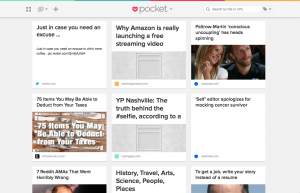 Pocket is a save-for-later app that lets users save and store content from mobile and web (via simple browser extension) to be viewed on either platform for when they have time. Pocket works offline, too, so you don’t have to worry about using up data. 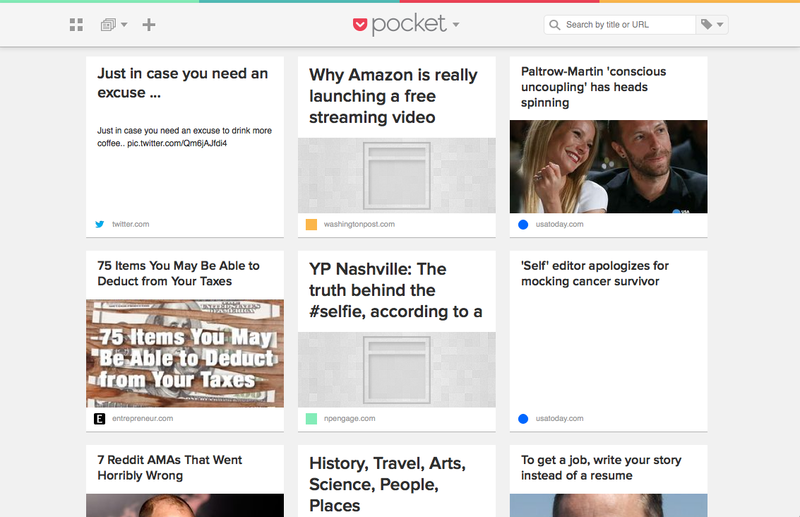 I love Pocket because I’m constantly scrolling through my Twitter feed, but almost never have time to read the articles I see then and there. Before, I used to say “eh, I’ll remember to read it later,” and, of course, I wouldn’t. So much great content lost! But now, with one easy click, I can send what I want to read to Pocket for those late-night catch-ups. 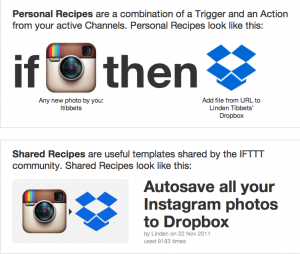 IFTTT is an amazing tool for anyone in public relations. It stands for “If This Then That” and allows you to set triggers and responses across social media platforms. 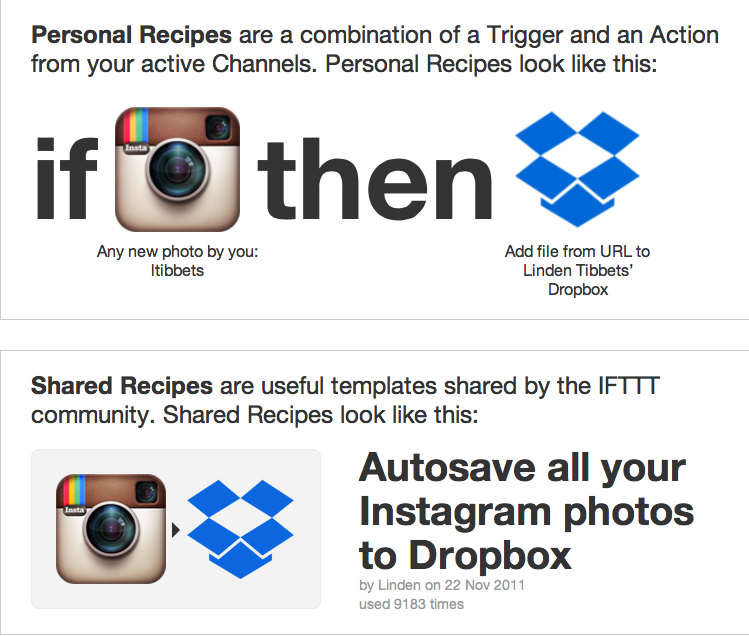 For example, every time we post a picture to our @byuprssa Instagram account, IFTTT adds an image file to our Chapter Dropbox account so we can have permanent record of it. It’s pretty awesome. We all know public relations is well beyond a 9 to 5 gig and that often makes adequate sleep hard to come by. I use an app called Sleep Cycle to maximize the sleep I do get. 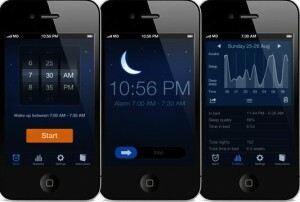 Sleep Cycle uses the accelerometer in your iPhone to monitor your movement to determine which sleep phase you are in. Waking up in the lightest sleep phase is a natural way to wake up where you feel rested and relaxed. Simply set an alarm window (15-30 minutes), place your phone on the edge of your bed and go to sleep. Sleep Cycle takes care of the rest. Whether I’m in bed for three hours or nine, I wake up feeling better rested and ready to tackle the day. Wondering if the press release you are about to publish could get you in trouble for plagiarism? Have a bad feeling about the task you’ve been asked to complete but don’t know who to ask for advice? 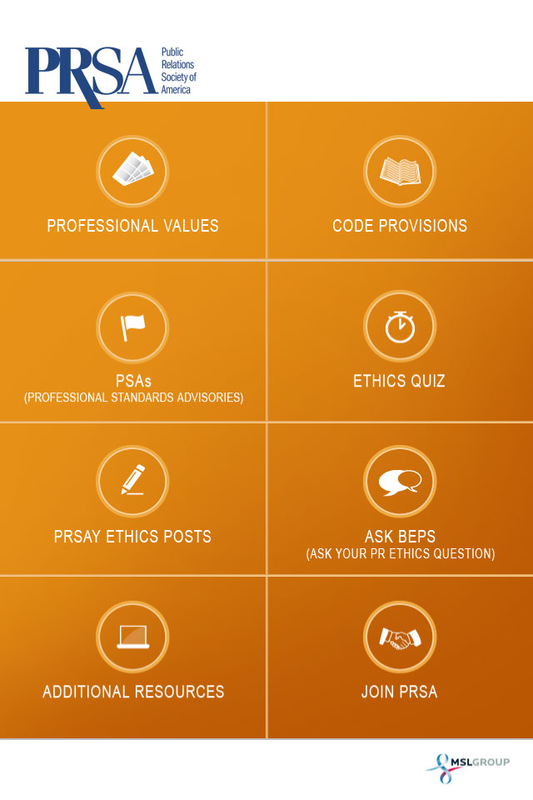 The free PRSA Ethics App can help you navigate all the ethical dilemmas you will face during your career. 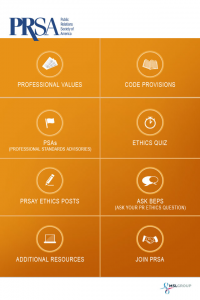 The app includes an explanation of the professional values, Code of Ethics provisions, case studies, an ethics quiz and more. Plus, it connects you to public relations experts who can guide you in answering your toughest ethics questions on-the-go at your job or internship. The CamCard app comes in handy when you’re meeting new people and have a limited amount of time, or if you just prefer to be super organized. I used it for the first time at National Assembly and fell in love with how easy it was to keep track of everyone I met. When you use the app to take a photo of your new friend’s business card, CamCard automatically detects the contact information and stores it in your phone and contacts. I haven’t tried these features yet, but CamCard says you can also group, share, message or email contacts through the app. 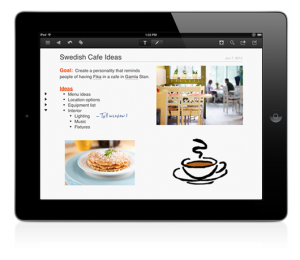 Plus, the free version is advanced enough to fit a student’s needs.